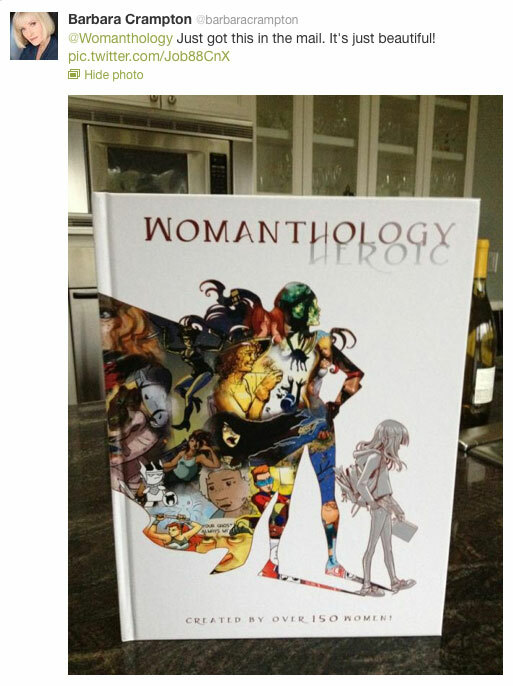 Umm, so Barbara Crampton has a copy of Womanthology. This means that Barbara Crampton has some of my comics. This means that Barbara Crampton might actually read some of my comics. I have a lot of feelings about this. Damn, that is super awesome.